The president&apos;s eldest son, Donald Trump Jr., acknowledged attending a meeting with a Russian lawyer tied to the Kremlin at Trump Tower last June, one of the first confirmed meetings between President Donald Trump&apos;s inner circle and a Russian national during the campaign. In a statement distributed Saturday evening, Trump Jr. confirmed that he had participated in a "short introductory meeting," to which he asked Jared Kushner, the president&apos;s son-in-law, to attend along with the chairman of the Trump presidential campaign, Paul Manafort. 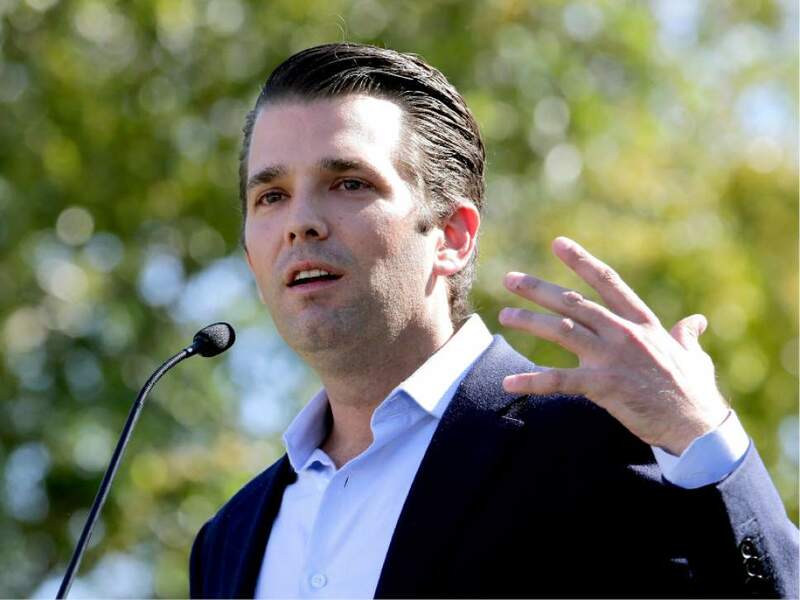 "We primarily discussed a program about the adoption of Russian children that was active and popular with American families years ago and was since ended by the Russian government, but it was not a campaign issue at that time and there was no follow-up," Trump Jr. said in the statement. "I was asked to attend the meeting by an acquaintance, but was not told the name of the person I would be meeting with beforehand." The meeting was reported Saturday by the New York Times. 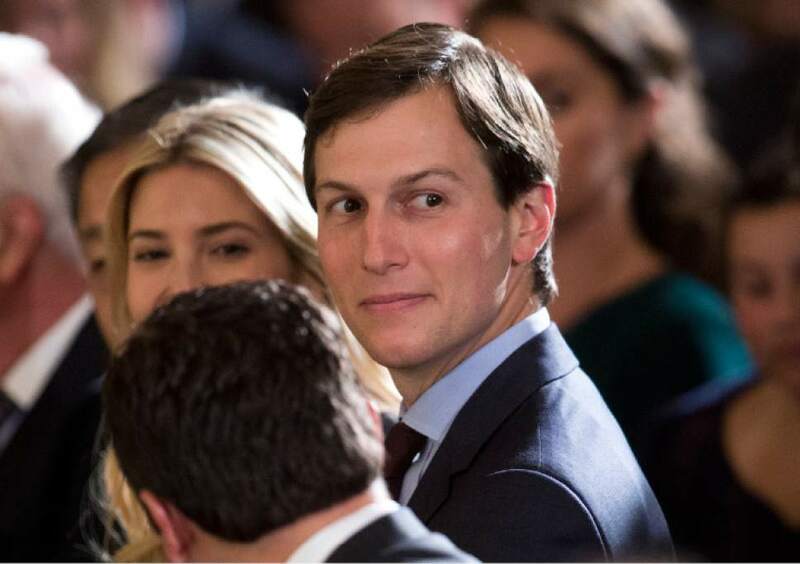 Kushner&apos;s lawyer said in a prepared statement that the president&apos;s son-in-law had disclosed the session previously on his security clearance forms. But the new public report adds to the roster of curious private meetings between Trump allies and Russians during and after the campaign. The meeting between the Russian lawyer, Natalia Veselnitskaya, and the president&apos;s inner circle became public Saturday, the day after President Trump met in Germany with Russian President Vladimir Putin for the first time. Trump questioned Putin about Russian meddling during the 2016 election. The Russian leader denied any such interference. Veselnitskaya is well known to those who have advocated for sanctions against Russia, particularly the Magnitsky Act, which prohibits U.S. interaction with Russians alleged to have committed human rights violations. The law angered Putin when passed by Congress in 2012 and led Putin to retaliate by halting American adoptions of Russian children. The adoption issue is frequently used as a talking point by opponents of the Magnitsky Act, said William Browder, an American financier who worked in Russia and lobbied for the sanctions, which are named for a former auditor he employed, Sergei Magnitsky. Magnitsky died in a Russian prison under mysterious circumstances in 2009 after exposing a corruption scandal. The act lists the names of individuals in Russia, including judges and other public officials, effectively blacklisting them from doing business in the United States. "I can&apos;t imagine that she brought up anything during the Trump Tower meeting other than the Magnitsky Act," said Browder, who recalled Veselnitskaya defending three Russian businessmen against U.S. fraud charges connected to the business where Magnitsky worked - Browder&apos;s Hermitage Capital. The case was settled in May. Veselnitskaya also had a major role in a public-relations campaign to repeal the Magnitsky Act that included a documentary film shown in Washington last year, Browder said. Veselnitskaya could not be reached for comment late Saturday. Manafort&apos;s lawyer declined to comment on the Times report. An attorney for Kushner, Jamie Gorelick, issued a statement emphasizing that the meeting had been disclosed earlier by Kushner. "As we have previously stated, Mr. Kushner&apos;s SF-86 was prematurely submitted and, among other errors, did not list any contacts with foreign government officials. The next day, Mr. Kushner submitted supplemental information stating that he had had &apos;numerous contacts with foreign officials&apos; about which he would be happy to provide additional information," the statement said. " . . . Mr. Kushner has submitted additional updates and included, out of an abundance of caution, this meeting with a Russian person, which he briefly attended at the request of his brother-in-law, Donald Trump Jr. As Mr. Kushner has consistently stated, he is eager to cooperate and share what he knows."